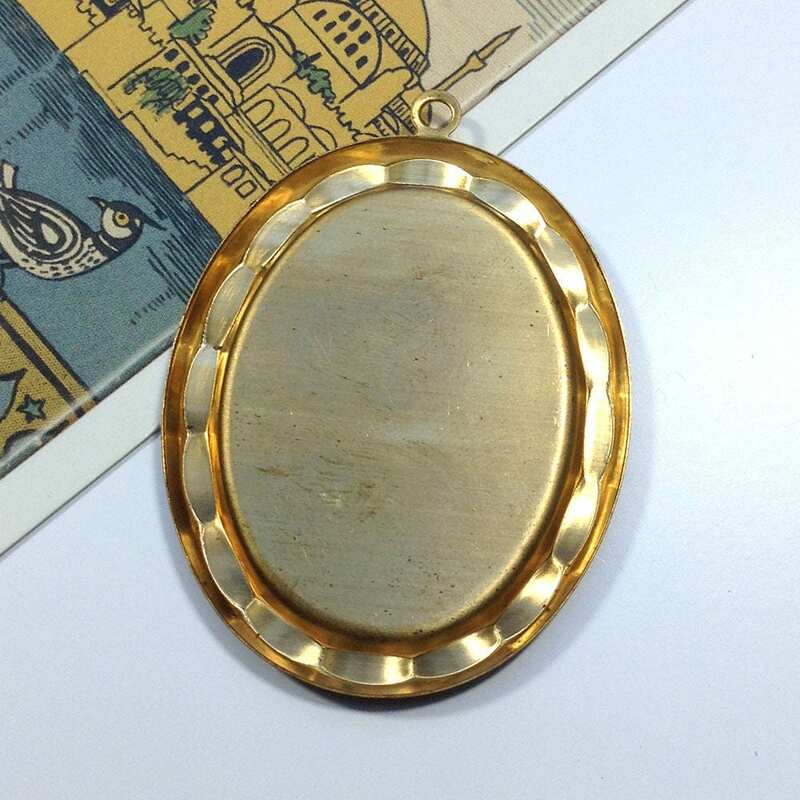 A vintage goldtone brass setting for a 40x30mm flatback cameo or cabochon. 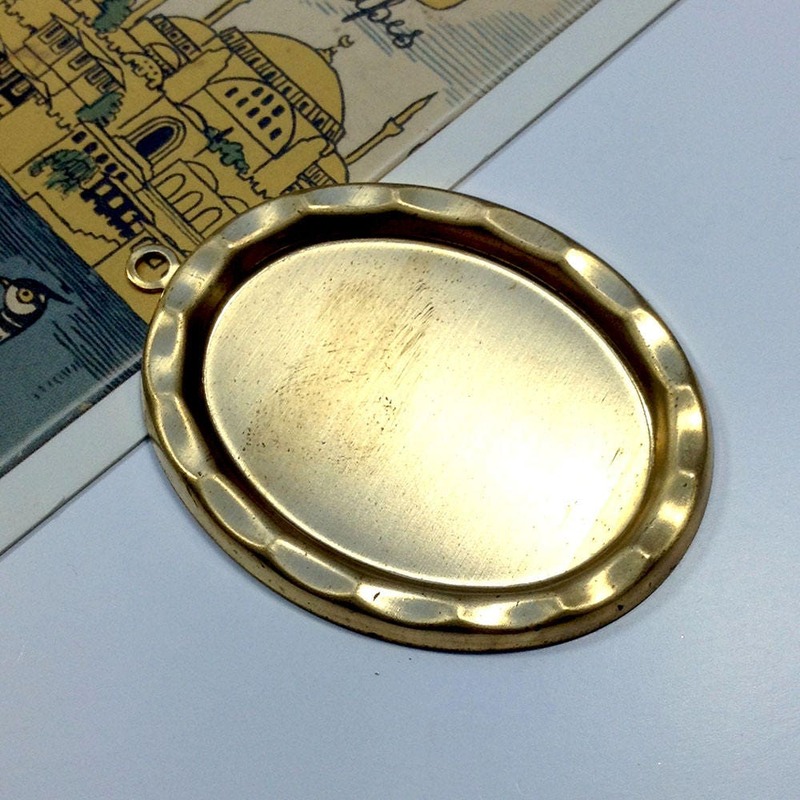 This has a dimpled edge design and was made in the USA from good quality raw brass. 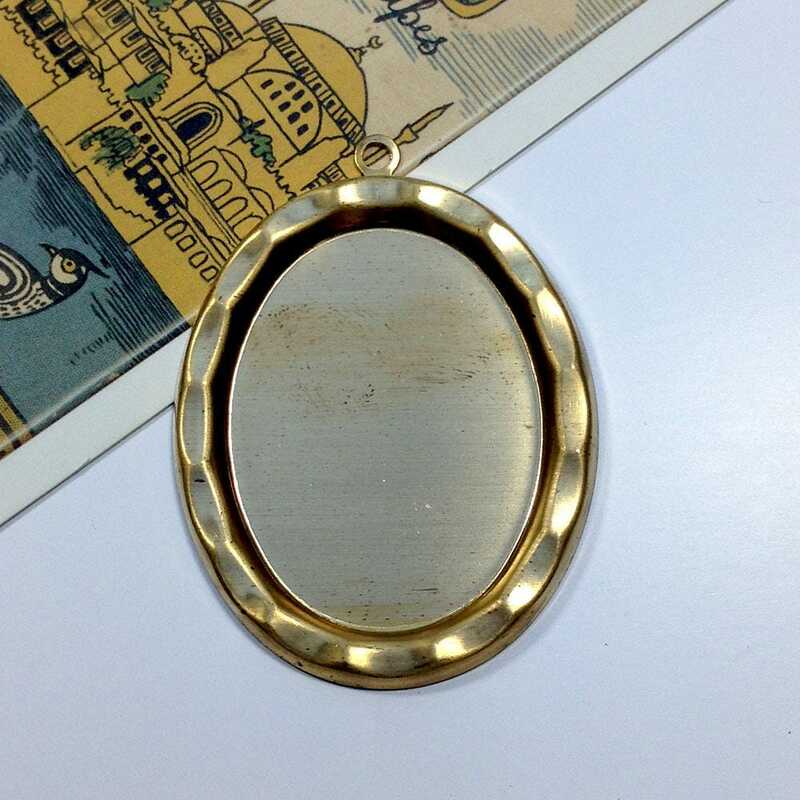 These show patina which can be cleaned if preferred. Sold per piece with discounts for 10 or more settings.